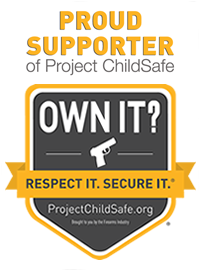 Shielding your firearms and valuables with quality and care. Our customers are the heart of the Console Vault business!We’ve updated this website to improve the online shopping experience. Many of the improvements are based on extraordinary insight from a survey we conducted in early 2017—capturing comments and ideasfrommore than 700 eCommerce customers extraordinary. This feedback helped us make site improvements that shouldmake it easier for YOU to find and select the right options from our array ofvault products. We hope you’ll find this new website much easier to use and navigate. You can now search the site by product type and vehicle make/model to find the right products for your needs. Our product development team is also incorporating customer feedback into our product designsall around—as we improve older models and create new ones. We have heard you and will continue to reach out periodically for your opinion about our products. Console Vault is dedicated to bringing first class products to marketplace! Console Vault’s products are designed to shield your firearms and valuables from the most intrepid of thieves. Concealed inside the console of your vehicle or the wall of your home you have the knowledge that your possessions are safe and secure.To look for the right products for you, we made it easy for you to search our site by vehicle for our console vaults or by product to see our complete line up. We are currently working on new products and add to line up of vehicle makes and models based on the feedback from our eCommerce and OEM customers. Quarterly newsletter “Inside the Vault” coming soon!